Madrid: Atletico Madrid striker Diego Costa will miss the rest of the season after being handed an eight-match suspension by the Spanish Football Federation (RFEF) on Thursday. 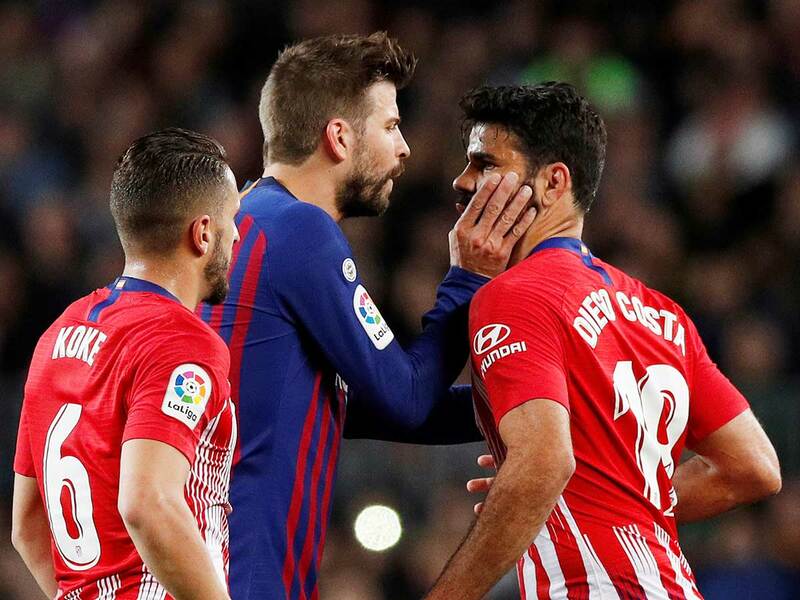 Costa was sent off in the first half of Atletico’s 2-0 defeat to Barcelona on Saturday for directing a crude insult towards referee Gil Manzano. Manzano also reported that Costa had “grabbed” him by the arms during the incident. According to the match report submitted by Manzano, Costa insulted his mother in a foul-mouthed outburst before “grabbing me by the arms to prevent me showing cards to numbers 24 and 2 respectively”. The RFEF ruled Costa should therefore be suspended for four matches for “clear insults and offensive expressions made by the player towards the referee” and another four, after “meeting the referee with mild violence, without aggressive spirit, but in a manner that is reflected in the act of grabbing”. Costa’s dismissal in the 28th minute at Camp Nou meant Atletico had to play for more than an hour with 10 men in a match coach Diego Simeone had said they had to win to keep their title hopes alive. He was also twice handed three-match suspensions by the Football Association in England, for stamping on Liverpool’s Emre Can in January 2015 and kicking Arsenal defender Gabriel Paulista nine months later.